Silver Creek's mining operation officially began operations in 1983. We are still one of the top-producing surface mines in this region. Our material meets the toughest specifications and have been used in many of the major construction projects that you see in and surrounding Tarrant County from homesites and heavy highway construction to Barnett Shale well pad sites, municipal, and private projects. Our equipment and operators are up to the challenge of the most demanding of jobs! We operate a fleet of the newest CAT equipment including a 980K loader and a CAT 374 Excavator. Composition: This is a perfect blend of excavated clay and sand. Mined from the water table, this virgin material has consistent moisture content, color and compaction. Our PI meets the strictest of specifications and stays consistent; it traditionally stays between 4-12. However, we can custom mix it for your job. We excavate our Silver Select with hydraulic excavators after being ripped and broken up with our Cat D8T Bulldozer. We then load with our Cat 980 Front End Loader. We also load with our Hitachi 450 Excavators during high volumes. We are more than capable of handling the most demanding projects, large or small. Applications: Our Silver Select is ideal for building foundations, back filling retaining walls and home pad sites. Composition: This economic Non-Expansive Blue Clay and Purple Clay Fill are high in PI. When heavy equipment is used, these Clay Fills pack very hard and are structurally sound. This material is mined from the water table, and it has excellent moisture content and compaction. This material is mined with our Cat D8T Bulldozer and stockpiled with our excavators. We are more than capable of handling the most demanding projects, large or small. Applications: Back filling, leveling low areas, well pad sites, lining new ponds and lining of landfills. Composition: Our Cushion Sand is mined from the water table and out of our pit floor and walls. This sand is virgin material and is very clean and free of rocks. This sand may have some sand stone in it but it will yield when compacted. We can back drag this for you upon request. Our sand is excellent in quality and has passed the strictest of specs and sieve analysis tests. Applications: Cushioning utilities and various construction projects. Composition: Our Screened Sand is very high in quality. It is screened with a Powerscreen Turbo Chieftan with 3/8 inch screens. 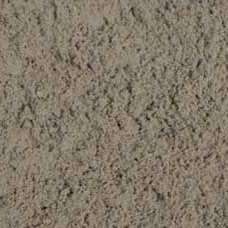 Our sand is traditionally light gray or tan in color, but we do have limited quantities of white sand. It passes the toughest of specs and is one of our best sellers. Applications: Asphalt Production, Utilities, Various Construction Projects, Playgrounds, Sand Boxes and Volleyball Courts.